I Me My: Paul Theroux Captures a Changing-India in "The Elephanta Suite"
Paul Theroux Captures a Changing-India in "The Elephanta Suite"
For some reason, I received several of Paul Theroux writings as Christmas gifts this year. In the past, I've read short essays and articles of Theroux in magazines and newspapers, but The Elephanta Suite is the first book of his that I read. The Elephanta Suite consists of three novellas, in all of which the protagonists spend some time at the Elephanta Suite in Mumbai. The title of the book is what made me pick it up over the other Theroux readings waiting on my bookshelf such as The Lower River and The Kingdom by the Sea. The title piqued me because I remembered visiting the Elephanta Caves near Mumbai as a child, and I was intrigued by the fact that Theroux, an American writer, had perhaps used the same as a title to his book of novellas. Unfortunately, I still haven't been able to come up with a convicing deeper meaning to the title other than the fact that Elephanta Suite is a hotel room that features in all three novellas of the book. Regardless, I'm still pondering over whether Theroux used the creativity, the nurturing, and the destruction artistically portrayed in the Elephanta caves as the underlying theme for the three novellas. Seemingly a little far fetched, but I can see how the concept of Vamadeva, Anugrahamurti, and Bhairava, different avatars of Shiva in those caves, could trigger literary imagination such as Theroux's, who is both a writer of fiction and an acclaimed travel writer as well. Although the three novellas are looped together by their setting and their American protagonists, each novella has a distinct flavor and a unique after taste. The first novella The Monkey Hill has a rich American married couple visiting an Ayurvedic Spa resort near Mumbai in an effort to understand and sort out a tenuous relationship. Theroux in the course of this novella doles out the expected and the surprising to his readers as we follow the two protagonists "in search of kicks and watch with mounting trepidation as their blindness to cultural nuances, their first-world illusions of invulnerability and their reckless sensuality lure them into dark and fatal corners where their traveler’s checks and consulates can’t save them." The second novella, The Gateway of India is about Dwight, a germophobic young businessman from Boston, seeking new outsourcing deals in Mumbai for his American company. He is on a second visit to India, a place he says is "dirtier, smellier, more chaotic and unforgiving than anywhere he’d ever been. ‘Hideous’ did not describe it; there were no words for it. It was like an experience of grief, leaving you mute and small.” In fact, Dwight when we first see him, could well be espousing Kipling's, 'Oh, East is East and West is West, and never the twain shall meet'. The Elephant God, the last of the three novellas, impressed me the most in that it came together neatly at the end; perhaps, that's how Theroux wanted it to be. In fact, I understood the earlier two novellas better after reading this third novella. This novella deals with the plain-Jane Alice, a graduate of Brown who very soon figures out that the real India is not akin to what she saw in the movies, nor is it like what some native writers had made it appear because 'Where were the big, fruitful families from these novels, where were the jokes, the love affairs, the lavish marriage ceremonies, the solemn pieties, the virtuous peasants, the environmentalists, the musicians, the magic, the plausible young men?' It is with these unanswered questions in mind that Alice sets out to seek enlightenment at the Sai Baba Ashram near Bangalore. Truly, 'a leap in the dark' for her in Theroux's words because it will leave her 'a different person at the other end'. The Elephanta Suite, published in 2007, could have paved the way for writers such as Anand Girdhardas who tried to capture the essence of a changing-India, except that Theroux, in this book, does it so casually, yet deftly with the elan of a master writer. Unwittingly, Theroux's dragnet of call centers, god-men, child prostitution, and other socio economic realities of changing -India are laid bare to the reader, who is left awed and enlightened 'at the other end'! 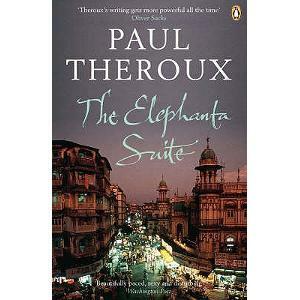 In the Elephanta Suite Theroux has brilliantly used his mastery as travel writer and fiction writer to illustrate the face of a changing nation as also the changing psyche of its inhabitants. He has definitely stripped the stereotypical romance and exoticism that India has long been associated with, and instead he presents a snapshot of contemporary India that is 'swarming, seductive, anachronistic, and which has a disorienting dynamism' that defies definition even as it demands a deeper delving into the human condition of those Theroux calls the 'accessible poor' and who constitute a significant majority. Having enjoyed reading Theroux's "The Elephanta Suite', I now plan to read his other books that have been waiting on my book shelf since Christmas. Yes!!! 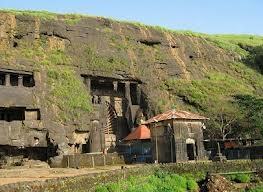 Elephanta Suite captures India very well. It is amazing how Thoreaux has got into the skin of the country without going into an oriental reverie or poverty bashing session. He has understood Indians in Elephanta Suite better than Indians ever have.